Naturally, it seems like the closer we get to Tron Legacy's opening (December 17), the more music we get from soundtrack composers Daft Punk. With that in mind, a brand new trailer for the film gives us our most substantial taste of what's to come. Splicing together clips of flying spacecraft, a neon-encrusted Frisbee fight and footage of Daft Punk spinning records in their robot gear, the clip prominently features pulsing synth jam "Derezzed." It's an adrenalized club banger of the highest degree that's sure to fit the mood of the action flick. 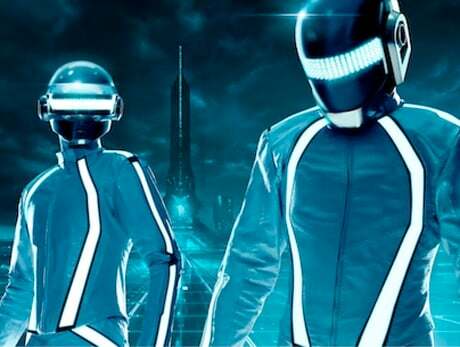 Daft Punk's Tron Legacy soundtrack is due December 7.